And you don’t have to look far for such eerie locations. England’s vivid medieval past is so conducive to modern spectral activity that York, its most haunted city, has had a whopping 504 recurring hauntings within its history. The universally revered ‘International Ghost Research Foundation’ concluded after a well-spent year in 2002 that the spectres of York such as Seamus the Dog, the Man with the Big Nose, the Pale Figure, the Old Fashioned Cyclist and Metamorphic Paper were substantial enough in number to grant York the title of the most haunted city in Europe. 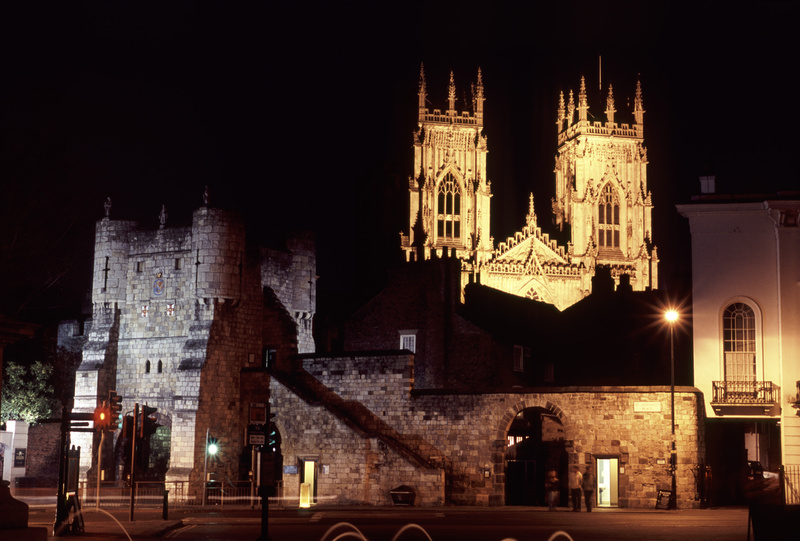 Pretty wisely, York has cashed in on the wave of paranormal pursuit and the city has dedicated sites, museums and walks for ghost enthusiasts to explore at their leisure. Libraries, cathedrals, houses and unassuming alleyways have all been deemed worthy of having a searchful eye cast over them, along with a pub that is repeatedly visited by no less than four ghosts: a lady in black, two cats and an entire legion of civil war soldiers in the cellar. That’s a fun lock-in. 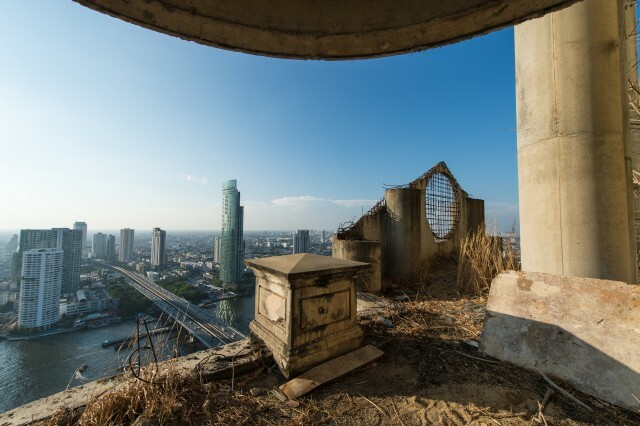 Known to locals and tourists alike as the ‘Ghost Tower’, Bangkok’s uniquely named Sathorn Unique building has paradoxically provided the Thai capital with a gigantic abandoned skyscraper and a buzzing hive of tourist action. The 49-storey behemoth looms large in Bangkok’s cluttered skyline, acting as a constant reminder of the 1997 economic crash in Thailand and the manifestation of an ambitious and ultimately short-lived project. Naturally, upon its abandonment, stories started to circulate and it really isn’t hard to see why. 18 years of neglect has heralded rotting floors, crumbling walls and an overall feeling of ghostly mischief. There are several floors’ worth of creepy and unexplained objects like battered sofas, life-size mannequins and an unloved mural of the king. The top yields an unparalleled view of Bangkok; a prospect attractive enough for many hardy explorers to risk 49 floors of eerie dilapidation for a glimpse. There are few sights so overtly creepy as a decayed doll’s head. If you were to see one hanging from a washing line, then times that feeling of horror by one thousand, you’d probably find yourself on Isla de las Muñecas. The ‘Island of the Dolls’, to give it its English name, is located between the canals of Xochimilco in Mexico, where the trajineras (wooden gondolas) become bogged down in lily pads and narrowed banks. 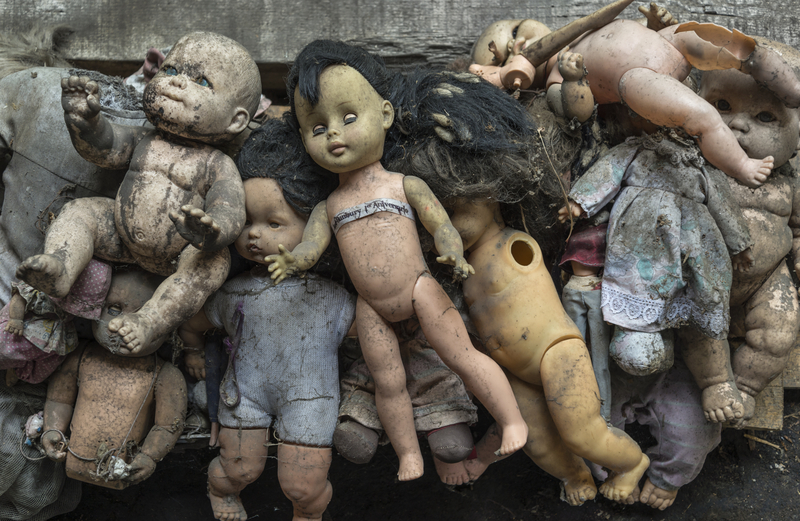 Rendered impassable, visitors wade through lush green foliage until greeted by the gut-wrenching sight of hundreds of time-worn dolls, hanging from trees and staring blankly in every direction. The origin of the dolls is due to one Julian Santana Barrera, an artist who moved to the island to become a recluse. When he found a girl’s body in the canal one day, he hung up her accompanying doll as a mark of respect. Soon afterwards, he began hearing the girl’s voice and the eyes of the doll began to follow him as he passed it, leading to him adding more dolls to trees and washing lines in an effort to appease her restless soul. Writing to his nephew, Barrera confided that the still agitated ghost of the girl was attempting to lead him into the canal so he could join her in the afterlife. Not long after, his corpse was found in the exact same place where he found the girl’s. The spot is now a tourist attraction run by the Barrera family, where people come to calm the two souls by adding more dolls, many of which have taken on an eerily disheveled look in their 14 years of hanging. Visitors now report the same sensations of voices and being watched described by Barrera before his death. 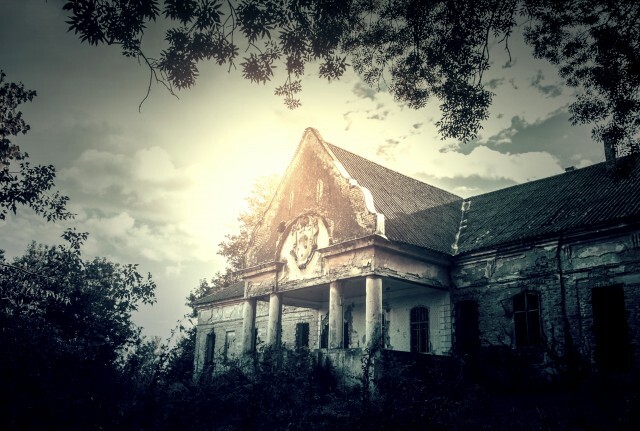 The tiny island of Poveglia has had a thoroughly unfair past. First abandoned in the early 14th century, this speck of land in the Venetian Lagoon soon became a quarantine colony for sufferers of bubonic plague, sentenced to a discreet death away from Venice. The same happened in 1630, and piles upon piles of dead, infected bodies were burned and left to smoulder. If these events weren’t morbid enough, Poveglia then became the site of a psychiatric asylum in the 19th century, run by a triple-threat (literally) doctor, butcher and torturer, who threw himself off the bell tower out of guilt for his abhorrently treated patients. Left maimed but not killed, the last gasps of life were apparently wrung out of him by the ghostly mist of his victims. Nowadays, Poveglia is very rarely visited and even the sea around it is a no-go for petrified fishermen. However, should the urge possess you, the island is a mere stone’s throw from Venice or Lido, either of which provide the perfect day activity on the Heart of Veneto Cycling tour. Alternatively, you can learn about its sordid history over the safety of a Venetian Aperol Spritz. I think I’d choose the latter.